During the previous school holidays, we were supposed to look at options for either a beach holiday or a stay-cation but hotel room rates were sky high so we had to set our targets a little lower. Given that all we really wanted to do was to enjoy the sun, sand and surf, it was fitting that we found out Hard Rock Hotel offers a foam party the first Saturday of each month :D Non guests are allowed in with ticket prices going at RM20 for children and RM30 for adults. The children's party is from 4pm - 7pm and the adults party starts after that. 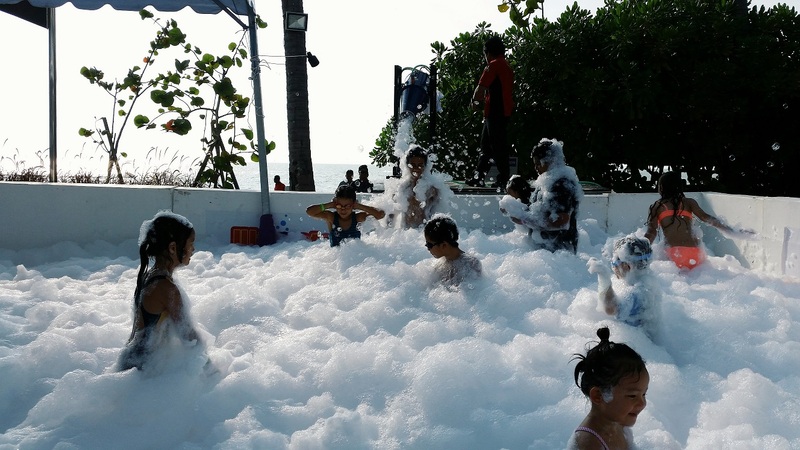 The only difference between the kids and adults' version is that the foam in the kids' party is half the height of adults. Popping on a pair of goggles on Bubs, we cheerily waved him in and boy, did he had a blast! He promptly dived right in with the biggest grin. "Back in the old days before I met Daddy, I used to dance like this at parties." "Mummmmmmy, stopitttttt, you look silly!" It was so hard to watch Bubs have so much fun with the puffy, white foam that I was tempted to go buy a ticket for myself to hop right in. I'd have loved to just lie there on a soft pile of cloud like suds. 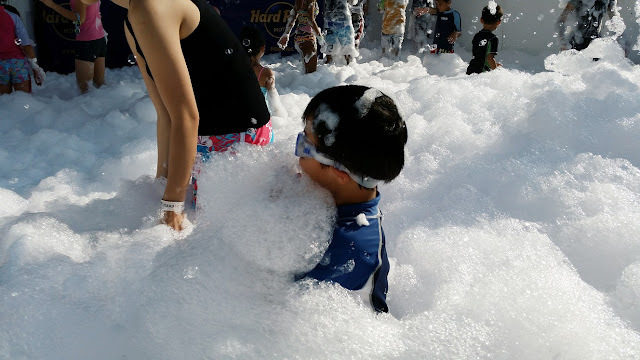 All of the kids there looked equally enthralled with the foam. Look at that kid just standing under the foam machine and letting it blanket him with suds. After what seemed like ages, Bubs came out. 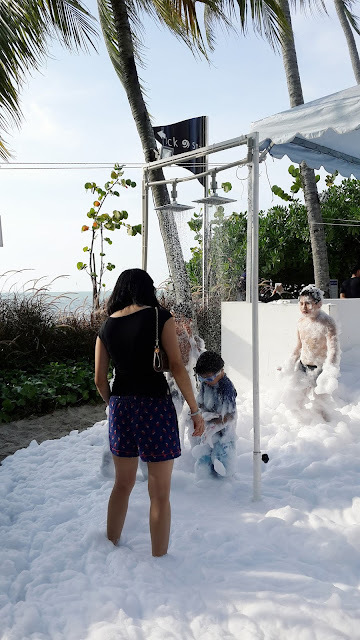 I couldn't resist helping him clean up just so I could wade around in the globs of foam for a bit. 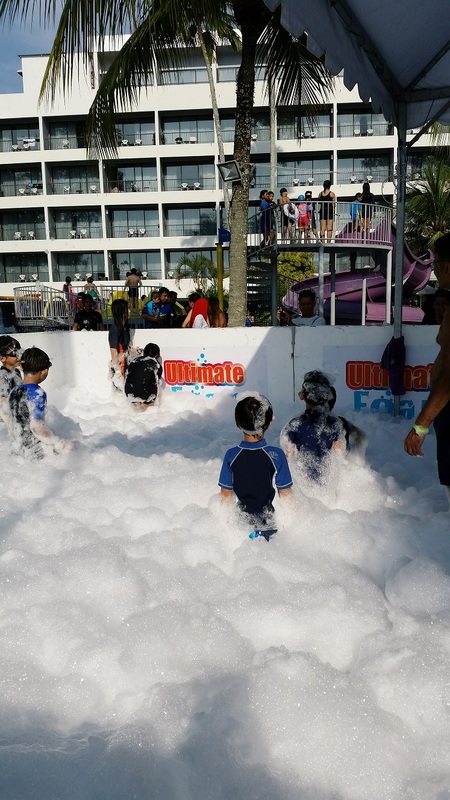 "Mummy, foam is like shampoo right? So I don't need to bath at night since I'm clean now?" 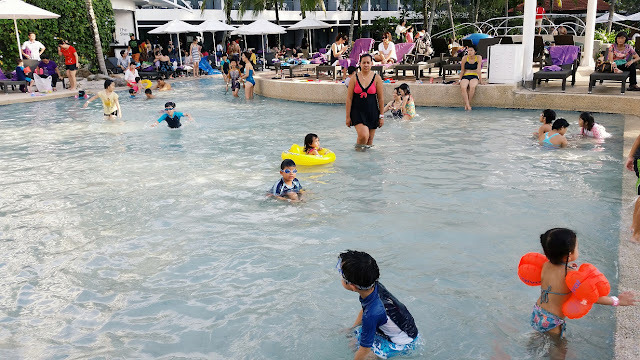 He had a quick run around Hard Rock's supremely fun mini water park. 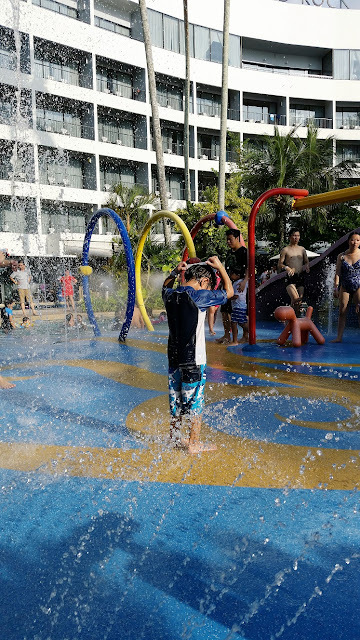 Followed by a dip in the wading pool which had *gasp* sand at the bottom of the pool. Bubs went nuts trying to scoop them out with his hands and flinging them around with joy. Yes, super fun, haha, can't wait for the next one!